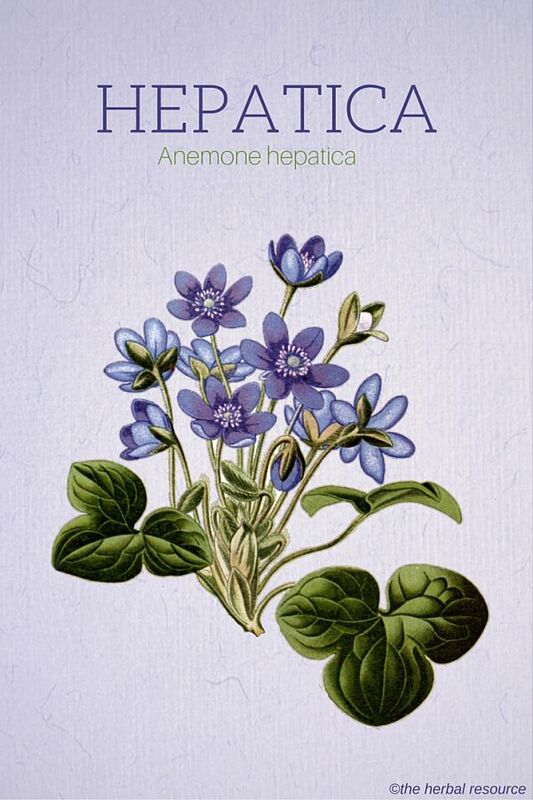 Botanical Name: Anemone hepatica, Hepatica nobilis. Other Common Names: Kidneywort, liverwort, liverleaf, liverflower, American liverwort, roundlobe hepatica, Leberblümchen (German), hepática (Spanish), skógarblámi (Icelandic), hépatique à trois lobes (French), blåsippa (Swedish). Habitat: The plant is found mainly in Europe. Other species of hepatica can be found in East Asia and North America. Description: Hepatica is a perennial plant of the Ranunculaceae ( or crowfoot family). The green leaves have three thick and hairless lobes. The leaves stay green through winter. The plant blooms in winter or early spring and the flowers can be blue, purple or white. The leaves and flowers grow directly from the rhizome. The plant has become a popular garden plant and it is easy to grow. Plant Parts Used: It is primarily the leaves that have been used in herbal medicine. The leaves are collected from late spring to mid-summer and dried for later use in liquid extracts and tinctures. The main ingredients found in hepatica are mucous substances, tannins and sugars, flavonoids, anthocyanins and saponin glycosides. The fresh leaves contain the toxic substance protoanemonin which converts into anemonin when the plant is dried. 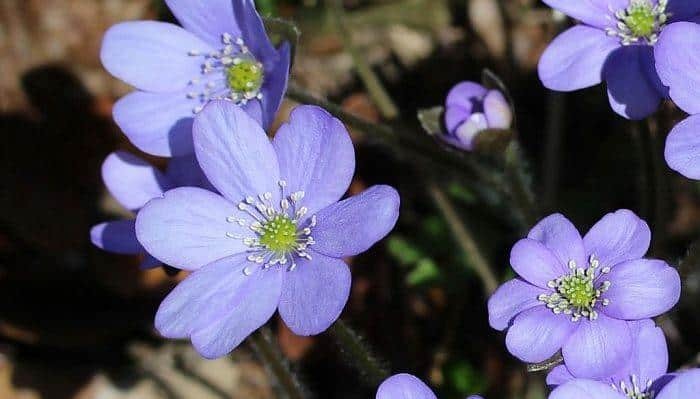 Hepatica contains smaller amounts of protoanemonin than to other plants of the buttercup family. Hepatica scientific name, Hepatica nobilis, means “noble liverplant” and refers to the primary medical use of the plant in the past. The herb was widely used in folk medicine, particularly for the treatment of diseases of the liver and gallbladder. The early immigrants to North America valued the herb as a remedy for hepatitis and found that the natives used a closely related species, sharp-lobed hepatica (H. acutiloba), similarly. In earlier times it was a widespread practice to eat the first emerging flowers in the spring as it was said they would protect against viper bites and a number of diseases in the coming year. 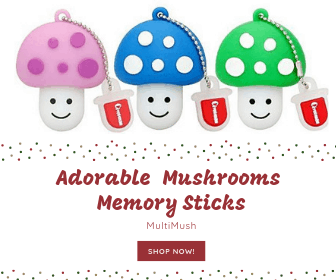 The plant has been used for its astringent, diuretic and antibiotic properties. Extracts or decoctions made from the leaves have been used in herbal medicine for the treatment of liver ailments, gallbladder ailments and digestive disorders, and to treat coughing and bronchitis. The herb can be used as a gargle for inflammation of the gums and chronic irritation of the neck and throat. Tannins found in the leaves have astringent effects making the herb useful for internal bleeding, and because of the plant diuretic effect, it has also been used as an herbal remedy for kidney and bladder diseases. The herb was once used to treat slow healing wounds, minor injuries, ringworm, sunburn and to get rid of freckles. In homeopathy, it is still used in diluted alcohol extract against bronchitis. It is very rarely used in today’s herbal medicines. 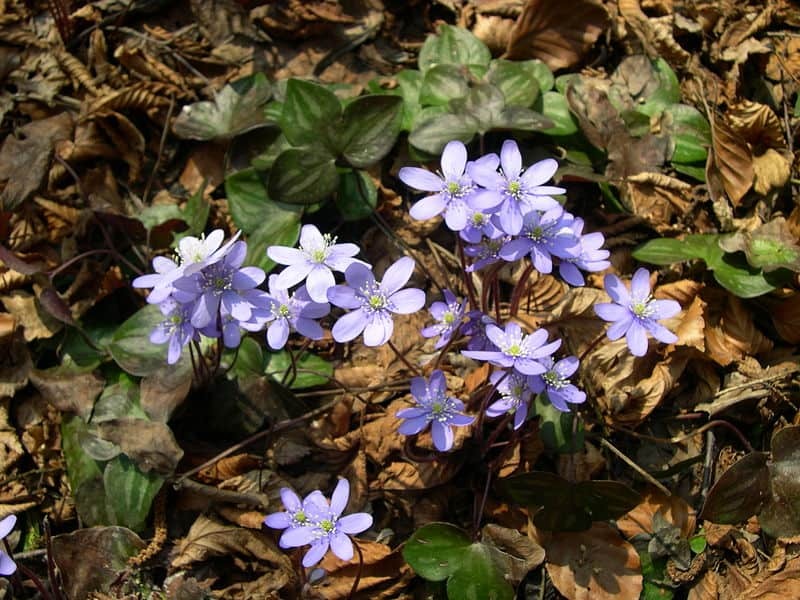 Hepatica is not one of those herbs suited for the home herbalist and self-medication. the herb can be dangerous. Like other species in the buttercup family, it contains the toxic substance protoanemonin but in lesser quantity than, for example, wood anemone (Anemone nemoralis). The herb has a slightly burning taste, and can cause mucosal irritation, vomiting and stomach ache. A trained herbalist or other health care provider should be consulted prior to the use of this herb as an herbal medicine. Brown, Deni: The Royal Horticultural Society New Encyclopedia of Herbs & Their Uses. London, England. Dorling Kindersley 2002.